Dog Training Graduate from Orwigsburg, PA. 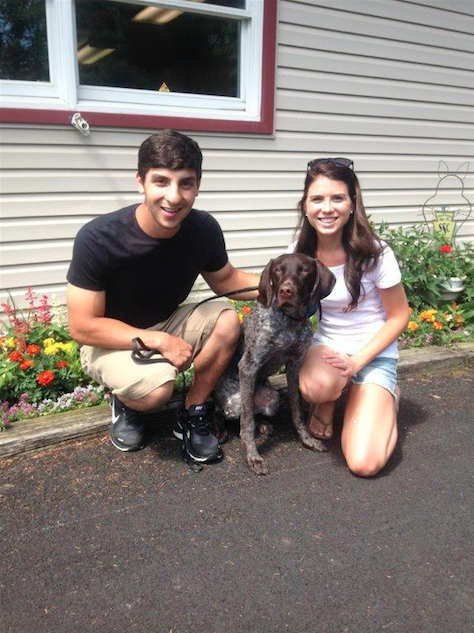 Recent dog training graduate, Boomer, with Josh and Chantel C. from Orwigsburg, PA.
Could not be happier with the training performed by Peacock Bridge Dog Training. My dog was wild and very strong willed, therefore limiting her freedom and our enjoyment. Thanks to Peacock Bridge Dog Training "Beauty" can run and play and truly be a part of the family.